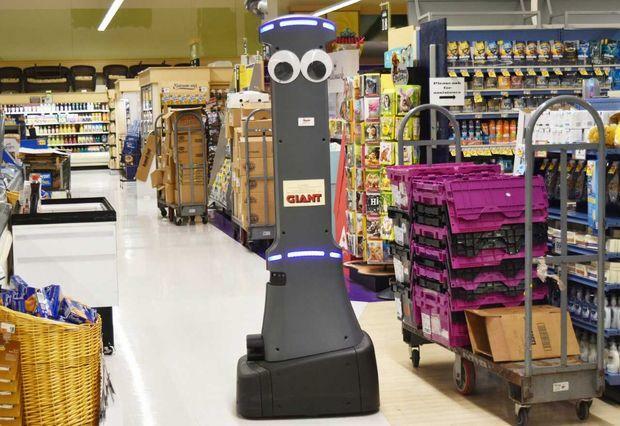 Robots may soon be scooting around the aisles of your local grocery store. Approximately 500 robots will be coming to supermarkets in Pennsylvania, Maryland, Virginia, and West Virginia, thanks to a strategic partnership between Retail Business Services and Badger Technologies. Retail Business Services, a subsidiary of Ahold Delhaize USA, currently provides services to six of Ahold Delhaize USA’s East Coast supermarket brands, including Food Lion, Giant Food, GIANT/MARTIN’S, Hannaford and Stop & Shop, as well as the online grocery retailer, Peapod. Within the next six months, Ahold Delhaize USA brands will have at least one robot in nearly 500 of their stores following successful in-store pilot programs at Harrisburg and Carlisle locations. “As part of our continued focus on technology transformation, we’re pleased to support one of the most significant deployments of robotics innovation in the grocery retail industry. Several companies in the grocery retail space have recently begun testing or using in-store robots – something Retail Business Services and the local brands we serve have been doing for some time. 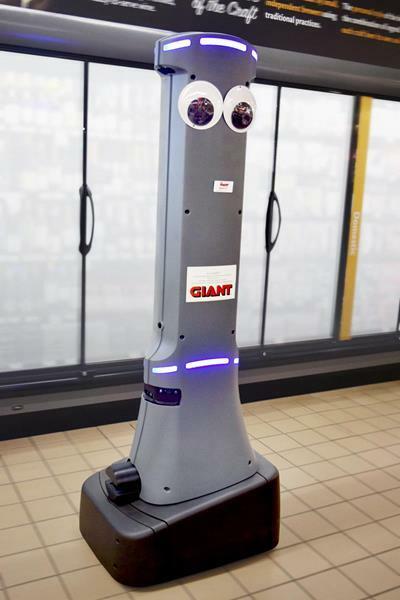 We’re pleased to support the GIANT/MARTIN’S and Stop & Shop brands as they now lead the industry from test to large-scale usage of robots and to see the benefits the technology continues to drive for their businesses,” ” said Paul Scorza, EVP and Chief Information Officer for Retail Business Services. 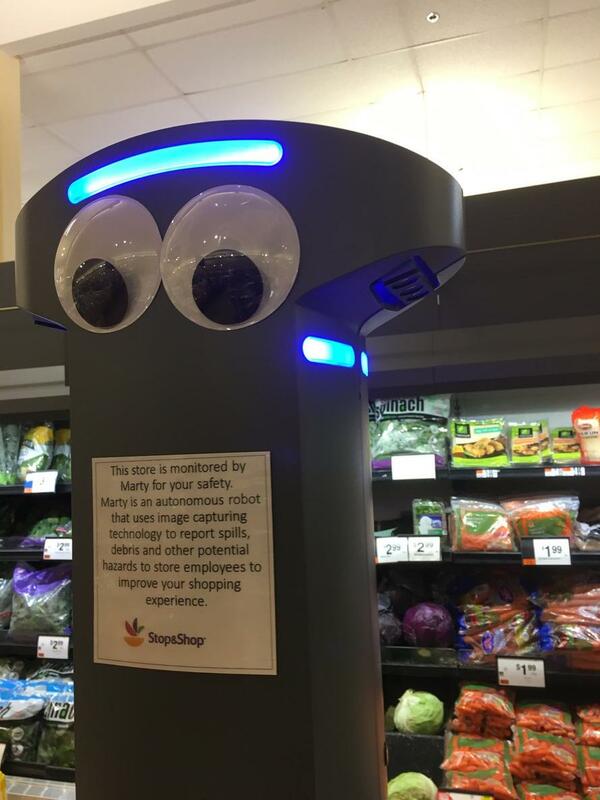 Dubbed “Marty,” the in-store fully autonomous robot has been designed for the grocery retail environment to address out-of-stock, planogram compliance, price integrity, and audit and compliance issues. Nationwide, other retailers, including Walmart and Target, have been testing or rapidly deploying robots. This is part of the great transformation, and a defined theme by Karen Harris, Managing Director of Bain & Company’s Macro Trends Group, who recently penned the piece Labor 2030: The Collision of Demographics, Automation and Inequality. For more color on how automation will disrupt the business environment in the next decade, Harris discusses the collision at play.